This page has links to current advertisers first with stuff I love, and below are links to more things I love, some of which are affiliate links, FYI. Enjoy and thanks! Please support these generous businesses and organizations who have invested in Torah Sisters Magazine. Thank you! OXEN Apparel personifies the lifestyle of those who 'carry the yoke of Yeshua Messiah'. We don't align ourselves with the things of this world, but we are yoked, or connected with Messiah, and those who choose to follow him. Stand Steel Clothing sells a custom line of clothing, hats and more because they have a deep desire and call from Yah to reveal the whole Word in plain sight for everyone to see. Get 10% off with coupon TORAH10. Christy Jordan of Southern Plate provides all of the recipes in this issue of Torah Sisters Magazine. Visit her website for many many more! Homeschooling Torah has Torah-based, Yeshua-centered homeschooling curriculum. Because we believe that the Bible reveals all of history (past, present, and future), it just makes sense to use the Bible as our primary history textbook. Grapevine Studies knows the challenges of teaching the Bible to multiple ages and various learning styles. So, we created a Bible study method that gives students a panoramic view of scripture in bite-sized portions. 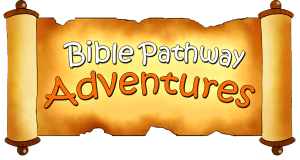 Bible Pathway Adventures' mission is to help parents and educators around the world disciple their children. How do we do this? With our free printable activities, Teacher Packs, and Activity Books – all created to help children learn a Biblical faith in a fun creative way. Nothing New Press sells books and curriculum materials that emphasize the knowledge of the history of mankind and Western Civilization, beginning with the first historical act of import, God’s creation of the universe out of nothing. Here are some kitchen and food things I love to make Sabbath clean up easier. These are books I love and books that are on my wish list. 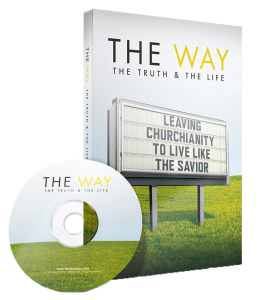 The Way Documentary is a movie I highly recommend if you or someone you know has questions about why Christians are keeping Torah.